Wow. 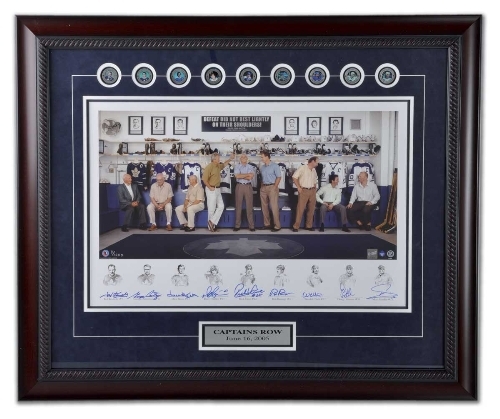 All nine former Toronto Maple Leafs team captains (up until 2005) came together to create this amazing limited-edition photographic lithograph. 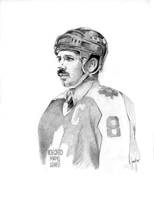 Each of the nine leaders appears in the Leafs dressing room with a line-art portrait below. 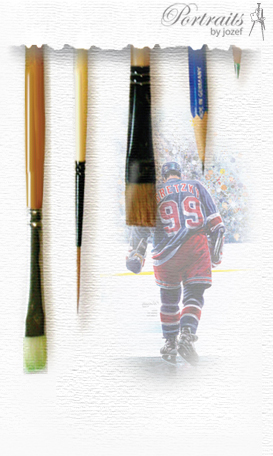 Ted Kennedy, George Armstrong, David Keon, Darryl Sittler, Rick Vaive, Rob Ramage, Wendel Clark, Doug Gilmour and Mats Sundin.